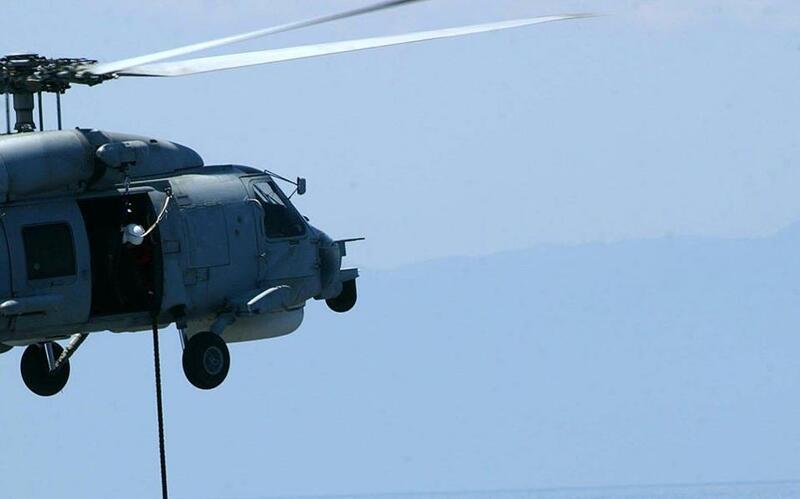 Three Greek naval airmen were missing and feared dead after a Greek navy helicopter crashed early on Thursday off the small island of Kinaros in the eastern Aegean Sea, Greece's Defense Ministry said. “The Agusta Bell helicopter was taking part in the night military exercise 'hunder'. It had taken off from a frigate sailing in the area and disappeared from radar around 0045 GMT. Wreckage has been found near Kinaros,” a ministry official said.